Combining Sentences with Appositives - Combine the sentences in each numbered item by changing the information in the second sentence to an appositive or an appositive phrase and adding it to the first sentence. Sentence Variety - explanation with examples. 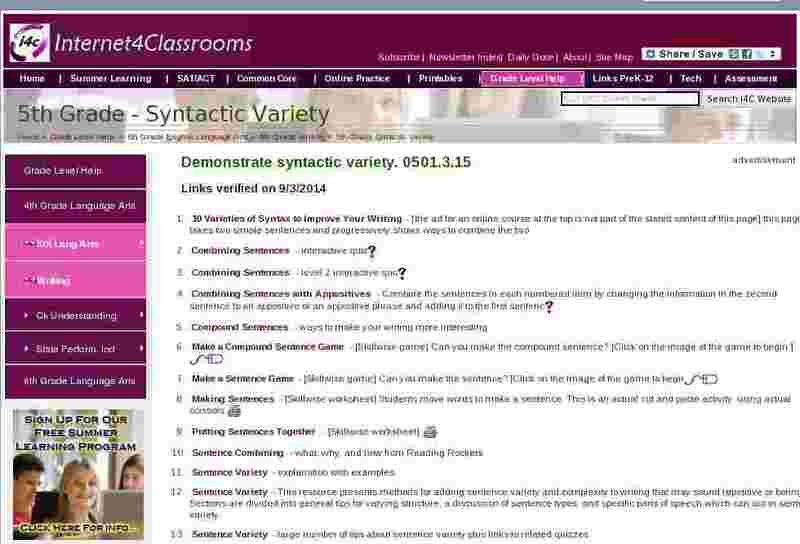 Sentence Variety - This resource presents methods for adding sentence variety and complexity to writing that may sound repetitive or boring. Sections are divided into general tips for varying structure, a discussion of sentence types, and specific parts of speech which can aid in sentence variety.